Ted Cruz has released a new political ad featuring patriarch Phil Robertson of the “Duck Dynasty” crew explaining the reasons why he supports Cruz for the presidency. His list of qualifications is short and stupid, as to be expected, but what is particularly hilarious and noteworthy is how incredibly uncomfortable Ted Cruz appears to be sharing a duck blind with the bearded man. 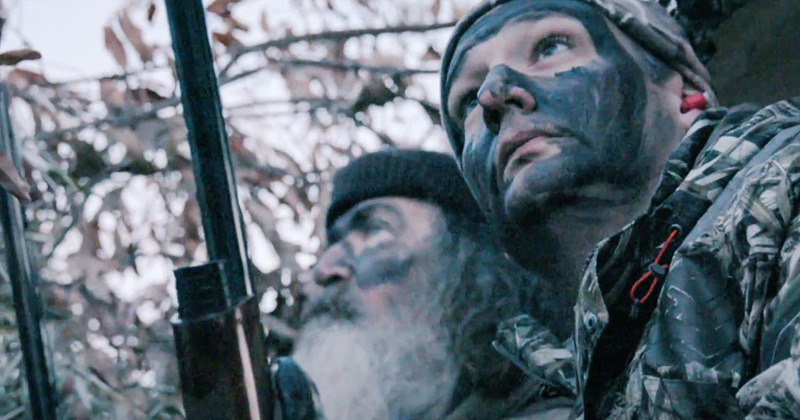 Cruz and Robertson embark on a friendly duck hunt, their faces excessively smeared with camo paint and Robertson tells Cruz that the entire “Dynasty” family will be voting for Cruz because he is “one of [them].” Cruz nods silently, too afraid to speak lest he reveal that he has no affiliations with camo clothing, facial hair, southern accents, or actual game hunting. Cruz may embody many of the values that the “Dynasty” clan believes in (you know, no gays), but his attempt to fit in in other ways is hilariously false.